Sometimes Applied Calculus is referred to as "Junior Calculus" or even "Baby Calc" - distinguishing Applied Calculus as the lower track of Calculus, in comparision to the higher track of Engineering-level Calculus I. Both Applied Calculus and (Engineering) Calculus I provide an introduction to differential and integral calculus. Applied Calculus does not include nor require trigonometry. High School Algebra II is sufficient prerequisite for Applied Calculus, while the higher Calculus I course requires College Algebra, Trigonometry, and/or Precalculus. The main topical differences between the lower Applied Calculus and the higher (Engineering) Calculus I course are described in the table below. The Applied Calculus course does include more applications to business, finance, economics, etc. than does the Engineering Calculus course. Will Applied Calculus Suffice For Your Program? The keywords to look for in your academic program's description is "a single course on introductory differential and integral calculus" Such a sentence almost always indicates that the lower Applied Calculus course will meet the requirements for this academic program. Students using the Applied Calculus course to satisfy a prerequisite in another academic program will be required to achieve a minimal grade. 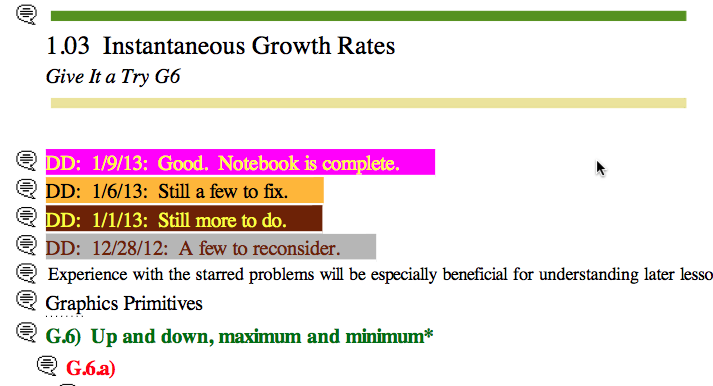 For some programs the minimal required grade is a "B", and for others a "C" grade will suffice. 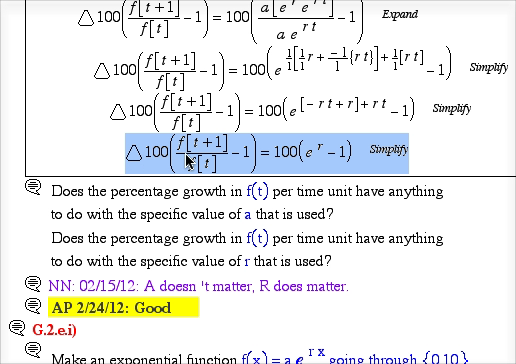 For Prerequisite Satisfaction, often only the graduate program (usually an admissions officer) must give approval for usage of the Distance Calculus course. For transferring of academic credits, often others, such as the Registrar, must also give approval to transferring credits. When Transferring Credits, many institutions will accept the academic credits in transfer, but not the letter grade earned. In these cases, earning an "A" in the course is no different than earning a "B" or a "C". Often this type of situation gives the student guidance on which Grade Path to choose for Distance Calculus. In either case, it is important to check with your graduate program to make sure the Applied Calculus course will satisfy their prerequisite requirements, and to make sure the Distance Calculus course is acceptable to them. The Applied Calculus course provides a general (and lighter) introduction to beginning calculus. Applied Calculus starts with an intensive 20 assignment refresher of high school Algebra I/II, starting from scratch with solving basic equations, ranging then to functions, linear equations, polynomials, and then exponential and logarithmic functions. This refresher aids students who have been away from academics for a while, as well as students with weaker mathematical backgrounds. 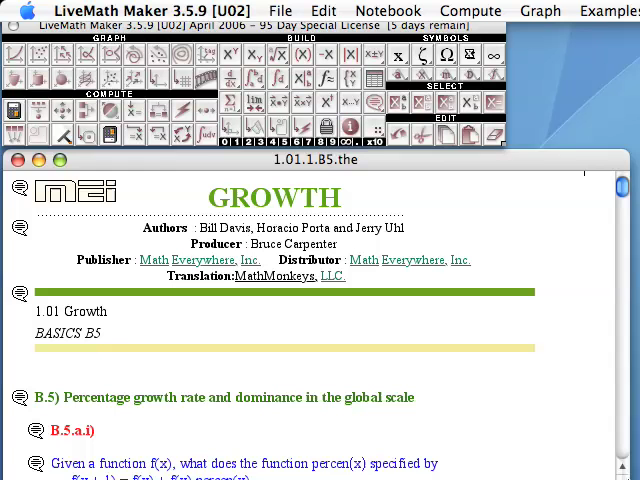 For students with stronger math backgrounds, this refresher can be completed very quickly, and provides an excellent platform on which to learn the computer algebra software. 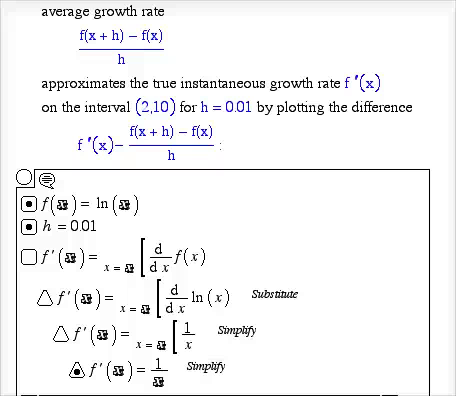 Applied Calculus begins with investigating the phenomena of growth of the various types of functions, culminating with the derivative as a measurement of growth. 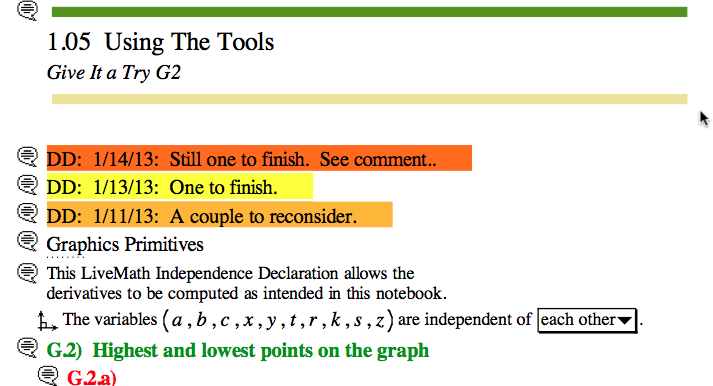 Algebraic rules for computing derivatives are explored and utilized. 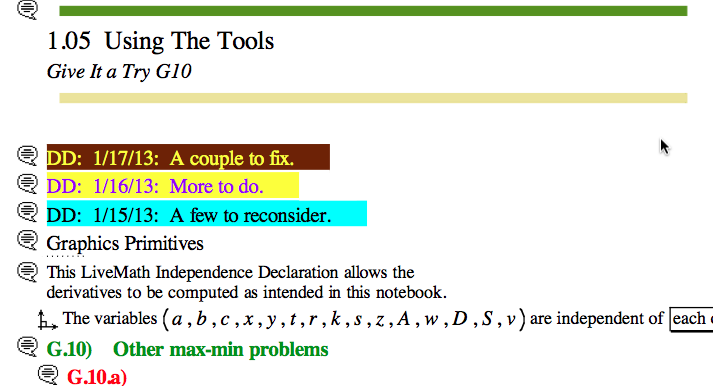 Applications of the derivative to "max/min" problems are the final set of topics in the study of differential calculus. Applied Calculus studies the connection between integrals as measurement of signed area of regions defined by function curves, concentrating on the graphical and numerical aspects of integrals. Algebraic methods for computing basic integrals, followed by the introduction of the Fundamental Theorem of Calculus, conclude the course. Some issues to consider when determining if Applied Calculus is for you. 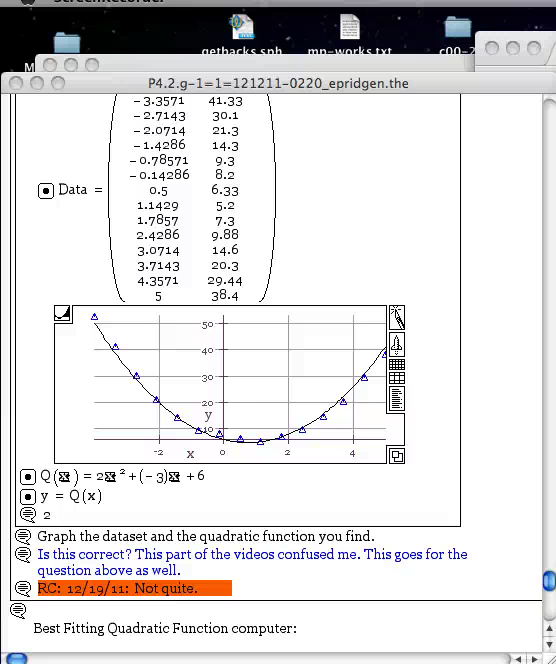 Applied Calculus does not lead to the higher Calculus sequence, and is not equivalent to the higher Calculus I course. Applied Calculus is usually the last math course a student takes as an undergraduate. Applied Calculus does not include nor require Trigonometry. If your academic program requires a calculus course that includes trigonometry, you need to take the Calculus I course instead. Applied Calculus does not branch into the multivariable calculus topics - required by some majors/programs, especially Economics. If you need Multivariable/3D Calculus topics, you'll need to go through the higher Calculus I/II + Multivariable Calculus sequence. One way to determine if Applied Calculus is the right course for you is to align yourself with examples of student profiles we usually encounter. Many graduate programs, such as MBA's, have prerequisites that include "a single college-level Calculus course". The majority of our Applied Calculus students are seeking to satisfy such prerequisite requirements prior to starting their graduate school program. Our MBA-bound students tend to be highly-focused, goal-oriented students who complete their course work under very tight deadlines. Often these academic and training programs require "a single college-level Calculus course" as a prerequisite. Many students in these programs have strong mathematical skills, which aid them in completing the Applied Calculus course quickly. Some students in this category do have weaker mathematical backgrounds, requiring more time to achieve mastery and success in the Applied Calculus course. Many students have "one more class" to finish to earn their baccelaureate degree, and Applied Calculus fits the bill for them. Warning: Many colleges/universities have a senior residency requirement where the last set of credits (usually 20-30 credits) must be completed at the college/university granting the degree, and cannot be "transferred in" from another school. Make sure you check with your college/university about such rules. Primary and secondary educators often are required to take courses for their certification and/or re-certification programs. 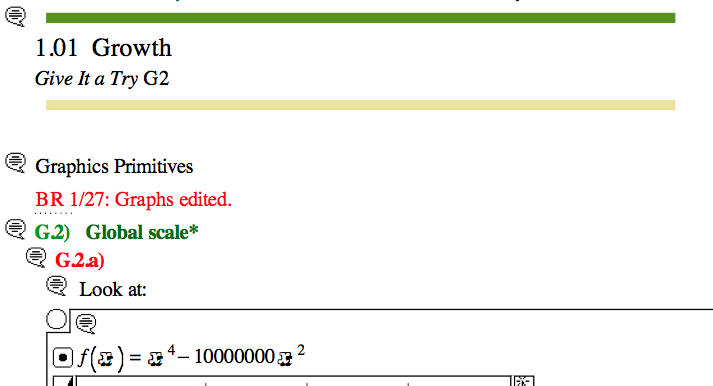 Warning: Distance Calculus courses do not carry graduate-level credits. Some recertification programs require their teachers to complete graduate level credits. 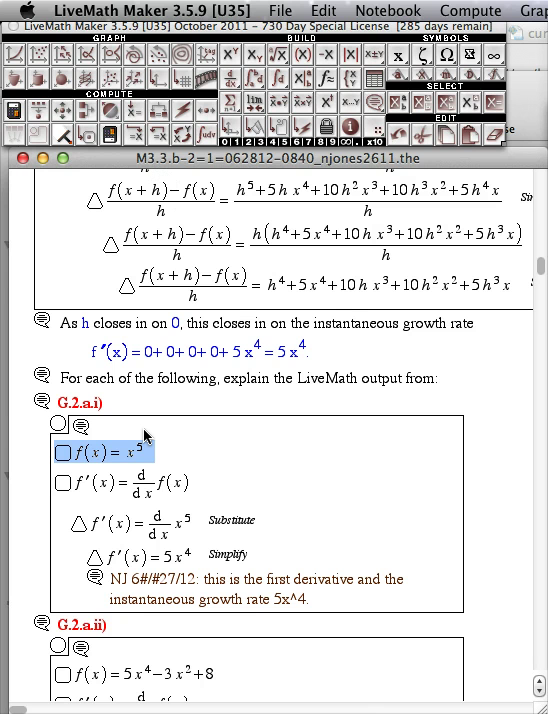 Calculus courses are inherently undergraduate-level courses. Sally just got her acceptance letter from her MBA graduate school, but with notification that she needs to finish "a single collegiate-level differential and integral calculus course" by the start of MBA courses. How fast can Sally finish the MAT 2110 - Applied Calculus course? Marc is planning to go to Pharmacy School in a few months, and needs to finish the Applied Calculus course prior to the start of school. Marc has been away from academic mathematics for many years, and does not have a strong mathematics background, but makes up for such weaknesses with drive, energy, and dedication to achieving his goals. How fast can Marc finish the MAT 2110 - Applied Calculus course? Amelia is a parent of three children who also works full-time. Amelia has ambitious plans to return to graduate school in the next year to advance her career. Amelia cannot take a traditional classroom math course due to her schedule constraints. How fast can Amelia finish the MAT 2110 - Applied Calculus course? We have many students like Amelia who are quite successful in Distance Calculus! Amelia will probably do her math homework after her kids are asleep for the night, in the 10pm-midnight timeframe. The Mastery Learning format for Distance Calculus serves Amelia well, where she is able to spend extra time on those topics that are more challenging for her, without penalty or "falling behind" as she would in a traditional course. When the children get sick and stay home from school, or life and work commands extra time, Amelia is able to take a break from Distance Calculus - usually for a few weeks, but perhaps for a few months, if needed - and return to her studies when her schedule permits. While such breaks do cause slower completion times, and "getting back in the swing of things" does require extra time and effort for Amelia, the flexibility of the asynchronous course format allows Amelia to finish the course when she can. James is an undergraduate student at a university, carrying 15 semester credits - a full course load. James wants to add the Applied Calculus course to his course schedule, in order to complete a general education requirement. What are the challenges that James will face with this plan? In our experience, when a student is faced with "too many courses" at the same time, it is the asynchronous distance course that almost always is the course to suffer a lack of attention. With other synchronous course deadlines and examinations, it is natural that an asynchronous course such as Distance Calculus becomes the "pressure valve". Students in these situations nearly always finish their Distance Calculus course during the winter break (December, January), spring vacation (April), and/or the summer vacation months (May-August). Even with the best of intensions, it is very difficult to complete a Distance Calculus course while taking 4 or 5 other courses simultaneously. Younger students also have more difficulty with the flexible schedule of Distance Calculus. It is very easy to put off your course work "until all day Saturday" or "next week after my Philosophy exam", which snowballs into a huge amount of work leftover to an increasingly short amount of time. Planning for vacation times is the best approach for students in this category. Over the past 16 years, Distance Calculus has enrolled thousands of students who successfully complete the Applied Calculus courses, and use this course record towards undergraduate and graduate programs at various colleges and universities in the U.S. and throughout the world. 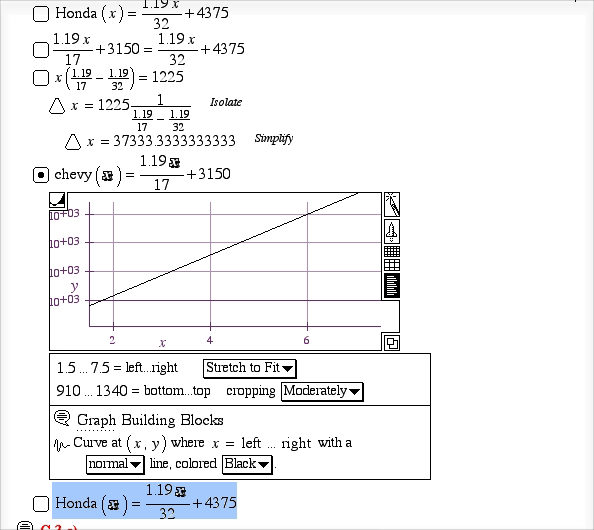 While using a computer algebra software package is a very cool way to do Calculus computations and investigations, we must also pay attention to the classical side of Calculus, and the computations that can be completed by hand with paper/pen/pencil. 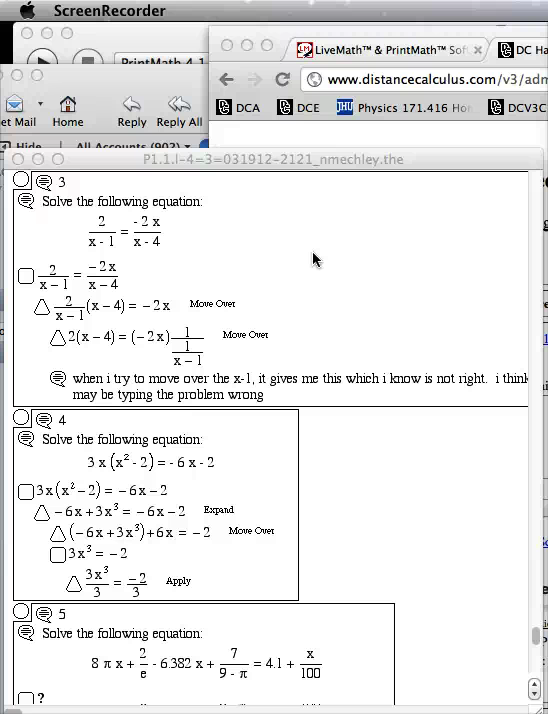 To be a well-rounded Calculus student, you need to be able to do calculations in both technical and manual methods. When a student asks a question in a homework notebook, sometimes the best way to explain the answer is via a screen movie.